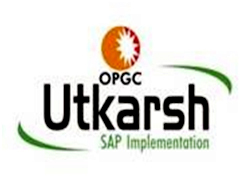 OPGC announces starting of Implementation of SAP ERP (Enterprise Resource Planning) Application in the Organisation through a project names as Project Utkarsh. OPGC is implementing the following modules of SAP i.e. FICO(Finance and Control), HR(Human Resources), ESS(Employee Self Service), MM(Materials Management), PM (Plant Maintenance), PS(Project System), EHS(Environment Health Safety). OPGC procured SAP software license from M/s SAP India Ltd (a subsidiary of SAP AG Germany) and retained M/s Accenture Ltd as implementation partner for the Implementation of SAP Application. The Implementation kick off has happened on 24th march 2015 and Go Live is targeted on 1st Feb 2016.